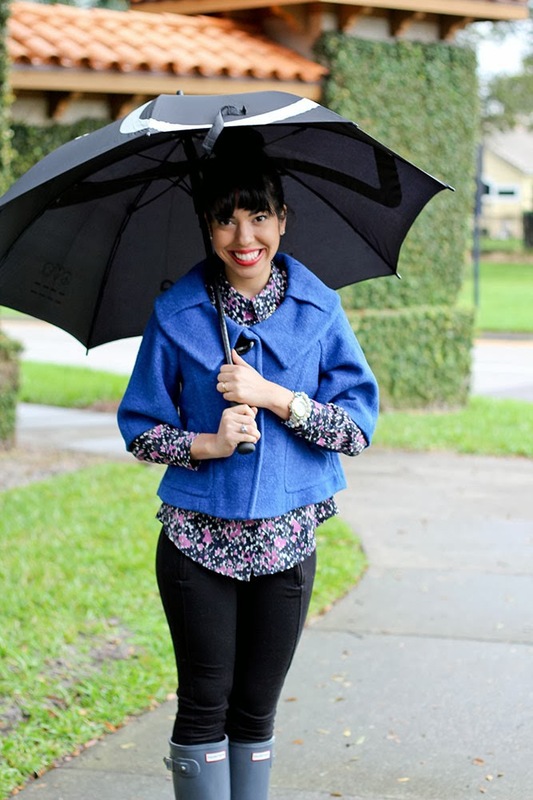 Being from the sunshine state I get excited when it “gets cold,” it means cute coats and boot time. 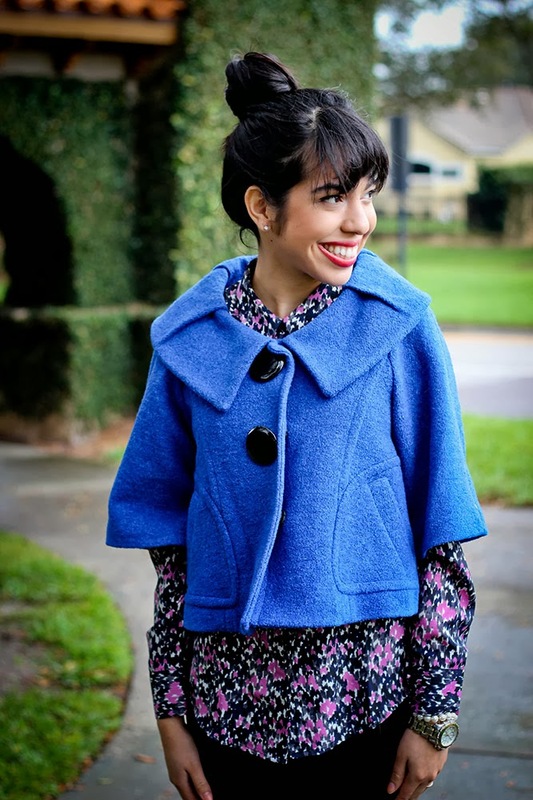 It might not even get that cold but winter pieces are just too fun to stay away from. 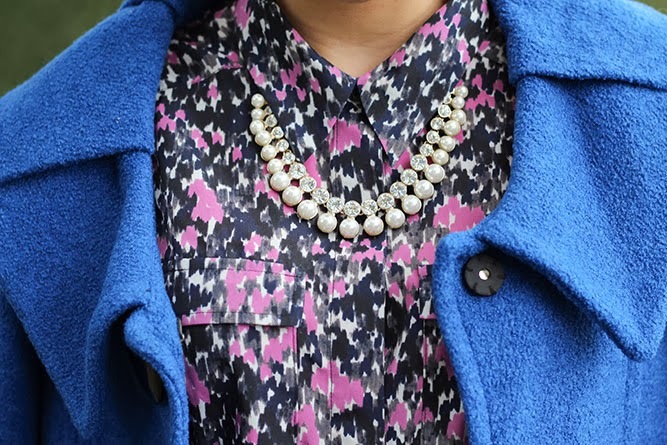 For this outfit I’m wearing a bold pattern print button up with a royal blue coat. 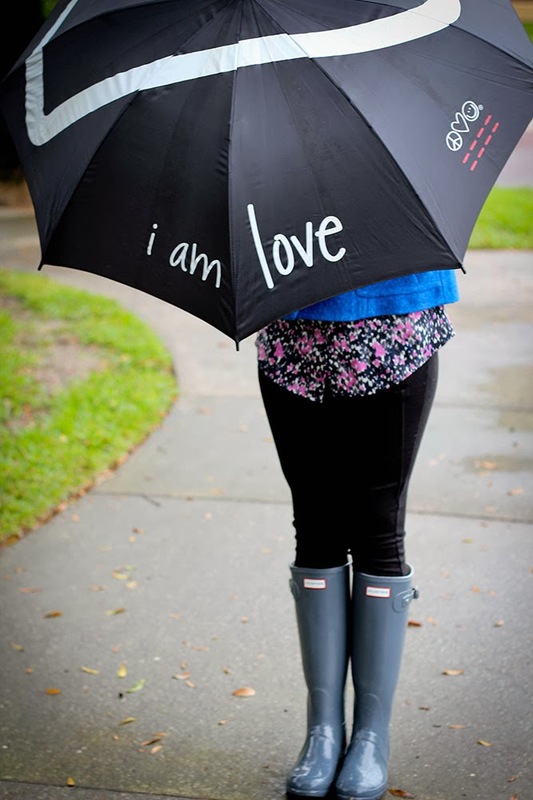 Now as for the accessories I’m wearing grey Hunter Boots paired with the fun Peace Love World umbrella. 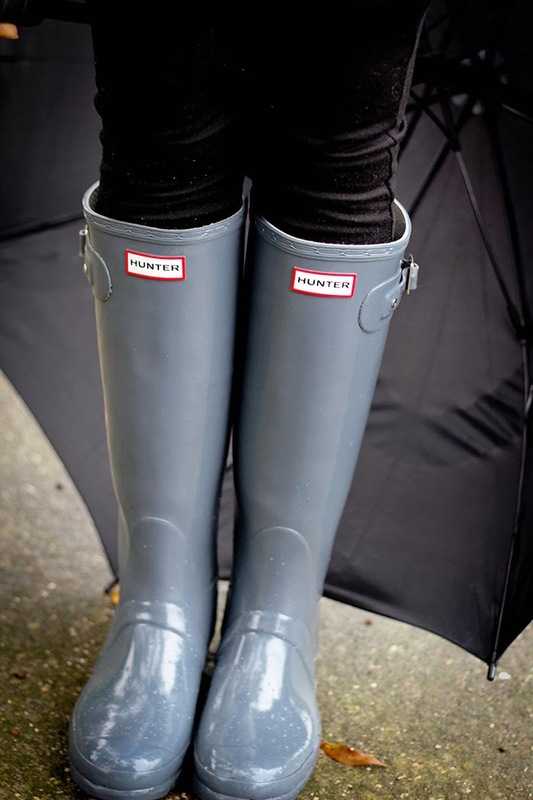 I love Hunter Boots--they keep me from falling (which I tend to more in the winter haha), with the right socks keep me warm and look great! 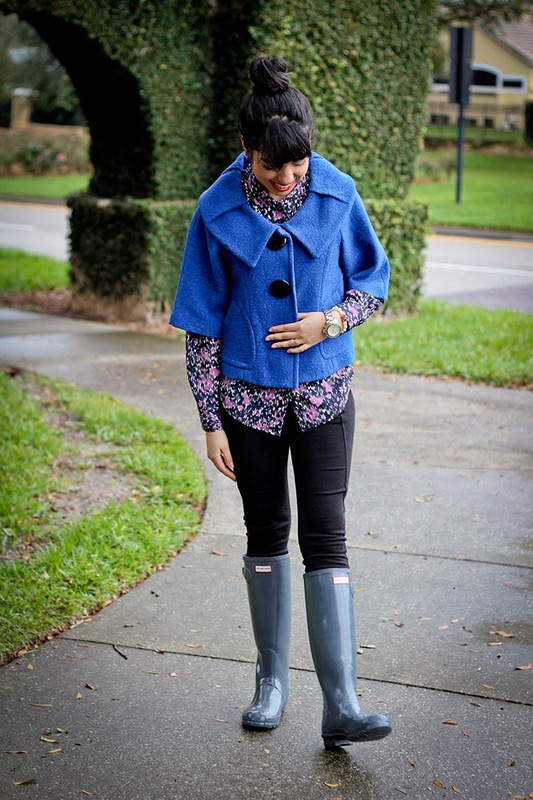 Take advantage of the weather look cute and stay warm. P.S. 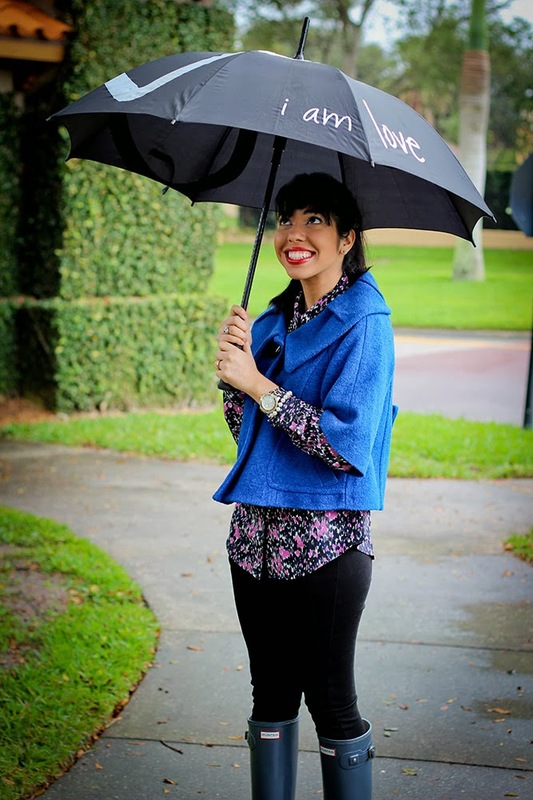 If you have not checked out Peace Love World you surly should they have the cutest comfy lounge wear.